we bet it all on Moms. They are strong and brave and wise and funny and honest and true. Our moms make our lives possible, from the very beginning, and often they do it at high cost to themselves. This Mother's Day, we're celebrating moms around the world with our #AMomLikeYours Campaign. 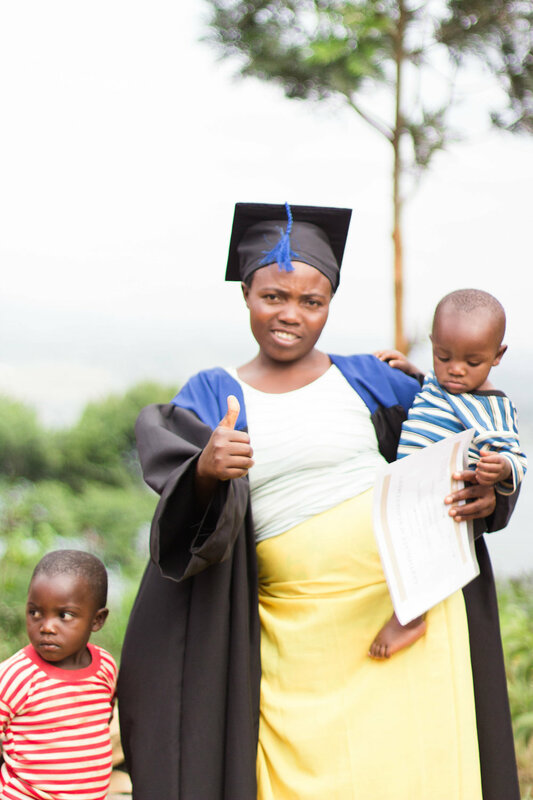 Each donation to this campaign will empower the moms we work with around the globe. Join us in celebrating your mom with a donation to Hands Producing Hope in time for Mother's Day. Our goal during the month of May is to raise $15,000 in one-time and monthly donations to support our Moms. We will use that money to fund this year's Literacy School Graduation and our ongoing projects in Rwanda, Costa Rica, and Baton Rouge, Louisiana. Download our printable graphics and share your favorite thing about your mom on social media with our hashtag. Hands Producing Hope is currently in the process of recieving 501(c)3 status with the US government. Donations received in the #AMomLikeYours Campaign will be tax deductible pending approval in 2018.